Kristeen started listening to music at a very young age. She was always fooling around and listening to her mother’s records. They had their listen sessions and enjoyed talking music. As she grew older her mind was set. She was going to be on stage to express herself through music. In her teens she was a huge fan of Pop music, but when she discovered House music, that took it all to another level, from that point on KRISTEEN knew she was going to a DJ. 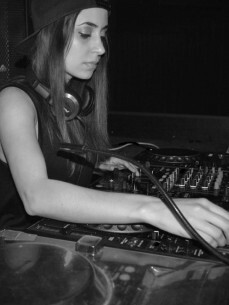 After many hours of practicing and exploring the different genres she got addicted to tech/house/electro. KRISTEEN is a regular guest DJ on AMW.FM [Amsterdam’s Most Wanted] and also one of the main DJ’s at a weekly club night called (Wanka), that’s being hosted at Club NL in Amsterdam. In 2017 KRISTEEN will release her firs EP and will also be doing some global gigs.